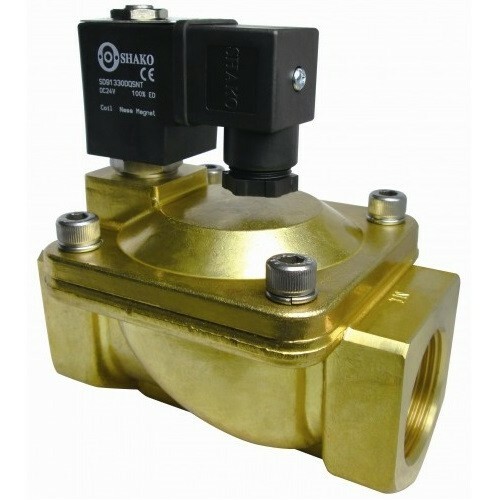 Port thread 3/8, 1/2, 3/4, 1, 11/4, 11/2, 2" BSP/NPT or Flange (F) JIS10K, (F3) ANSI150Lb, (F4) PN16. 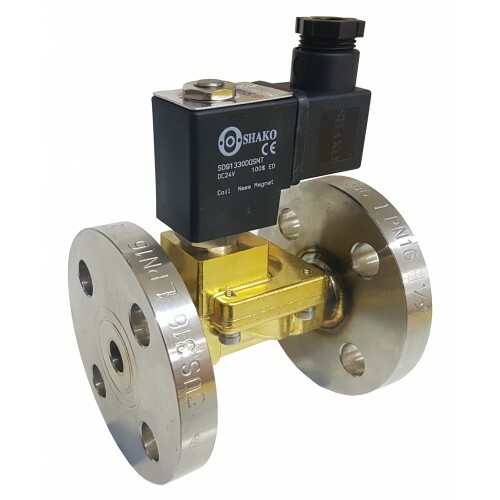 Sealing NBR, EPDM or Viton. 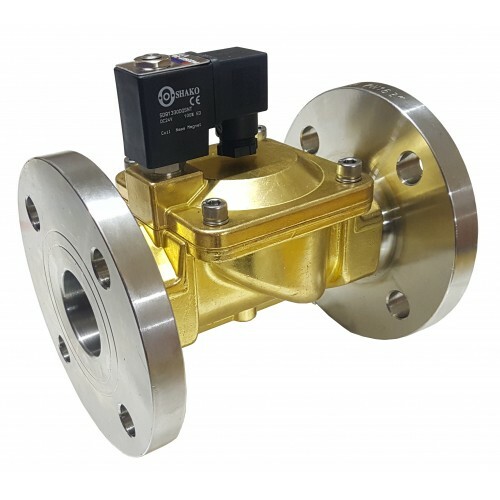 0.5 to 10 bar differential, 15 bar maximum working. 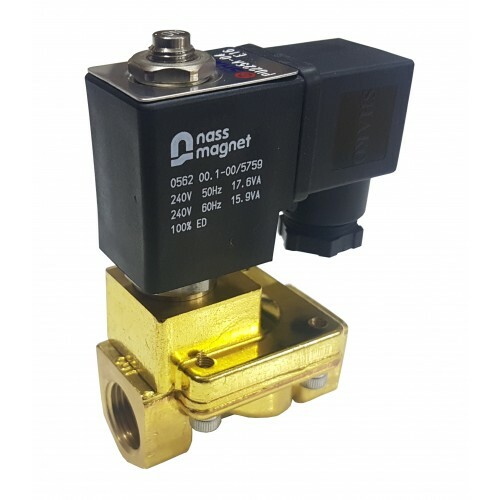 PU225A 2/2 normally closed, PU225AN 2/2 normally open. 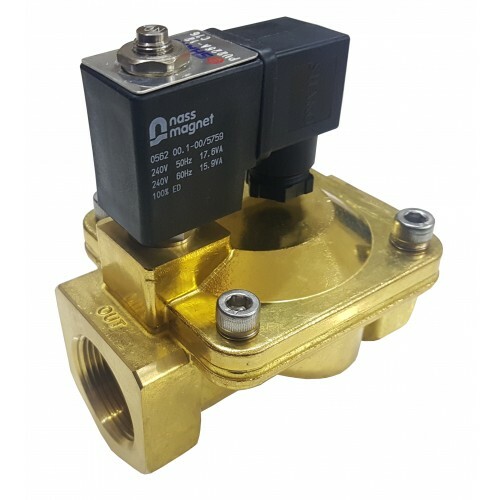 Most voltages available from 12v, 24volt, 48volt, 110volt, 230volt and 380 volt AC or DC, optional ATEX EExmIIT4 coil for zone 21 and 22 use. 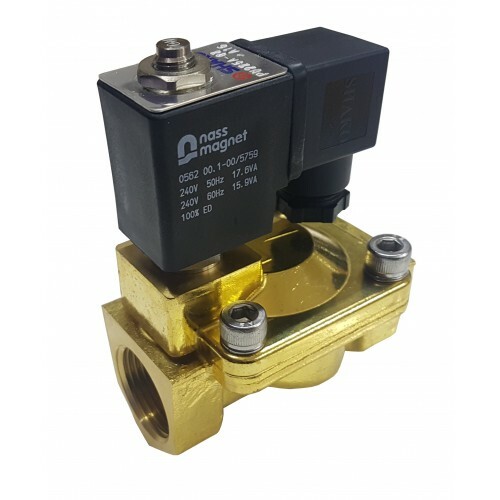 Suitable media NBR - air, water, neutral gases and mineral oils - Viton fuel oil, gasoline, hi-test gasoline and diesel fuels - EPDM hot water and liquid detergents. 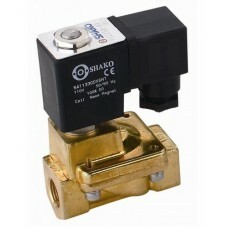 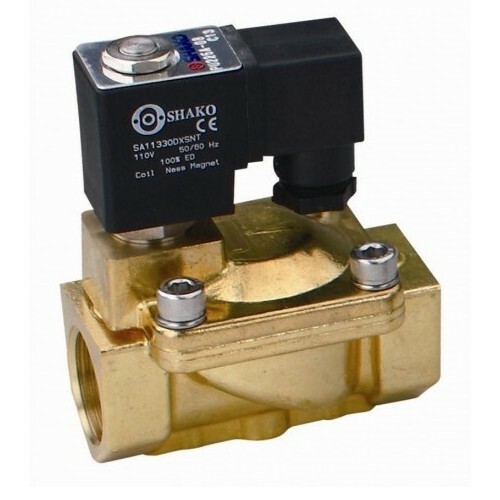 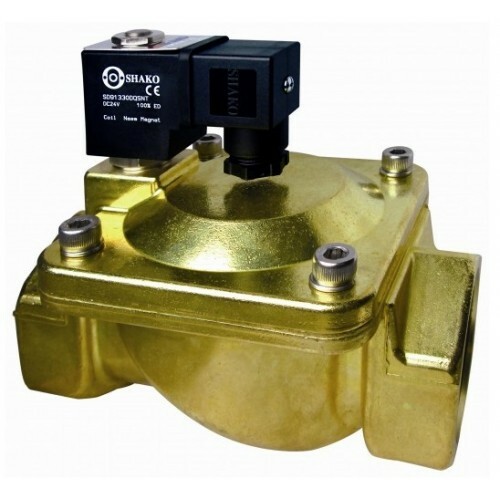 Brass Solenoid Valve 2/2 WayShako PU220A(N)-03-04-06-08Port 3/8, 1/2, 3/4 or 1" BSP or NPT threadPU2.. 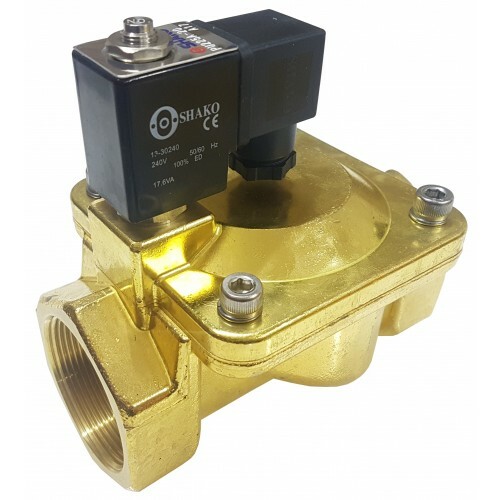 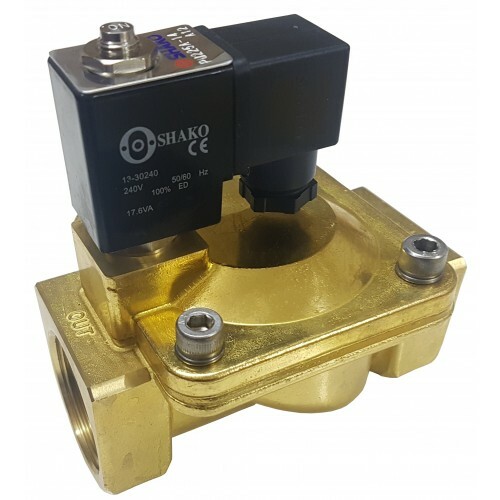 Steam Solenoid Valve 2/2 WayShako PU225S-03-04-06-08 Port thread 3/8, 1/2, 3/4, 1" BSP, NPT or Fl..
WRAS Solenoid Valve 2/2 WayShako PU220D-03-04-06-08Port 3/8, 1/2, 3/4 or 1" BSP or NPT threadPU220A ..